While playing basketball, Michael lettered and started in eight games as a freshman. As a junior, Michael led AAA in scoring (State) at 29.9 points per game in the regular season- all L.E.L. As a senior, he led all classes in scoring (State) at 39.4 points per game in the regular season. He had 61 points in a single game. 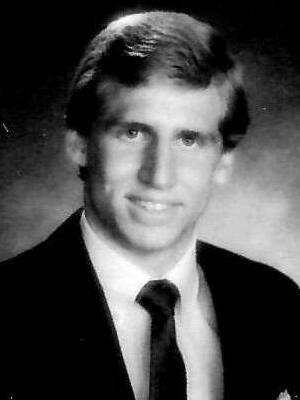 He was named Lake Erie League MVP in both 1986 and 1987, as well as 1st Team All City. While running track, Michael was 4th in the State in High Jump and was All City High Jump. He is tied for the Normandy 100 meter record and was a regional qualifier in the I 00 meter dash. He is also tied for the school record in the high jump with a jump of 6’8″. Michael also led the first ever Ohio Sports Festival team to a Gold Medal – while averaging 45 points in medal rounds. Michael attended University of Missouri and is on their Top Ten Single Season FG list. He also attended Cleveland State and led their team in scoring and had the Men’s Second Best High Jump at that time. He was also a member of the 4 x 100 meter relay that was awarded an Honorable Mention All-Conference. Paderborn, he helped win the Division Pokal while placing second in the league’s regular season. He led all leagues in scoring 34.9 points per game. While playing for Dortmund, Michael led the team to a Second Place finish while averaging 39 points per game.